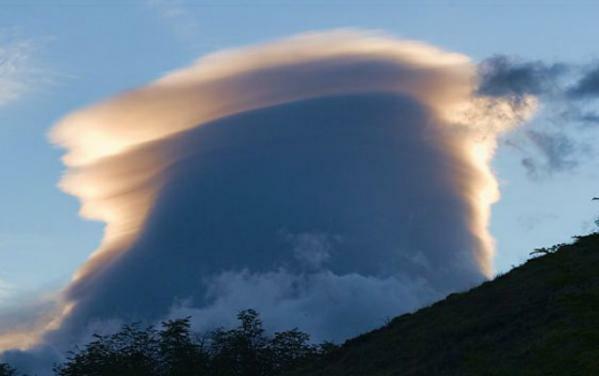 Lenticular clouds (Altocumulus lenticularis) are stationary lens-shaped clouds that form in the troposphere, normally in perpendicular alignment to the wind direction. If you’re lucky, you may have already seen the stunning meteorological phenomenon we’re about to explore today. 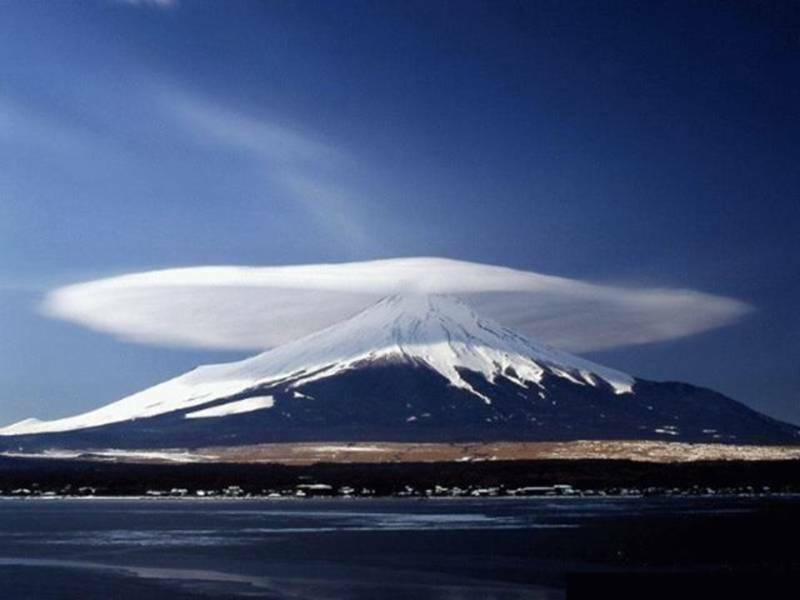 Yet, while lenticular clouds are a rare spectacle for many people, if the conditions are right, it’s not impossible to catch sight of them – and better still, to capture them on camera! In fact, their appearance is so distinctive that to human eyes they are often mistaken as close encounters of the third kind – and looking at these 20 amazing images, we can see why! "As air flows along the surface of the Earth, it encounters obstructions. These are man-made objects, such as buildings and bridges, and natural features, like hills, valleys, and mountains. All of them disrupt the flow of air into eddies. The strength of the eddies depends on the size of the object and the speed of the wind. It results in turbulence we classify as ‘mechanical’ because it is formed through the “mechanical disruption of the ambient wind flow". "The degree of mechanical turbulence depends on wind speed and roughness of the obstructions. The higher the speed and/or the rougher the surface, the greater is the turbulence. As unstable air crosses the barrier, it spills down the leeward slope often as a violent downdraft. Sometimes the downward speed exceeds the maximum climb rate for your aircraft and may drive the craft into the mountainside. In the process of crossing the mountains, mixing reduces the instability to some extent." 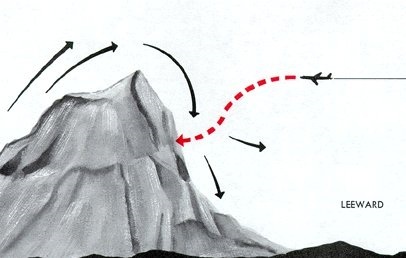 "When stable air crosses a mountain barrier…air flowing up the windward side is relatively smooth. Wind flow across the barrier is laminar – that is, it tends to flow in layers. The barrier may set up waves in these layers much as waves develop on a disturbed water surface. The waves remain nearly stationary while the wind blows rapidly through them. The wave pattern is a ‘standing’ or ‘mountain’ wave, so named because it remains essentially stationary and is associated with the mountain." 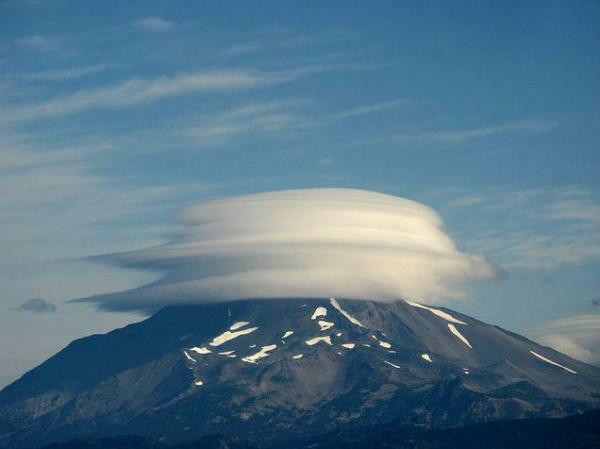 Lenticular cloud caps this mountain in Oregon. 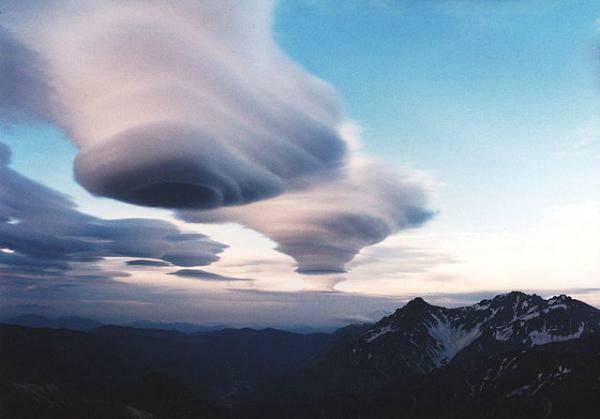 These beautiful lenticular clouds over Mount Hotaka in Japan almost look like hot air balloons! 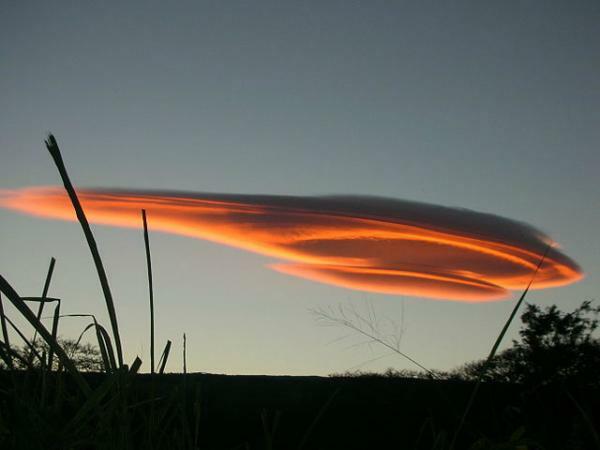 Lenticular cloud near Pahala, Hawaii at dusk.